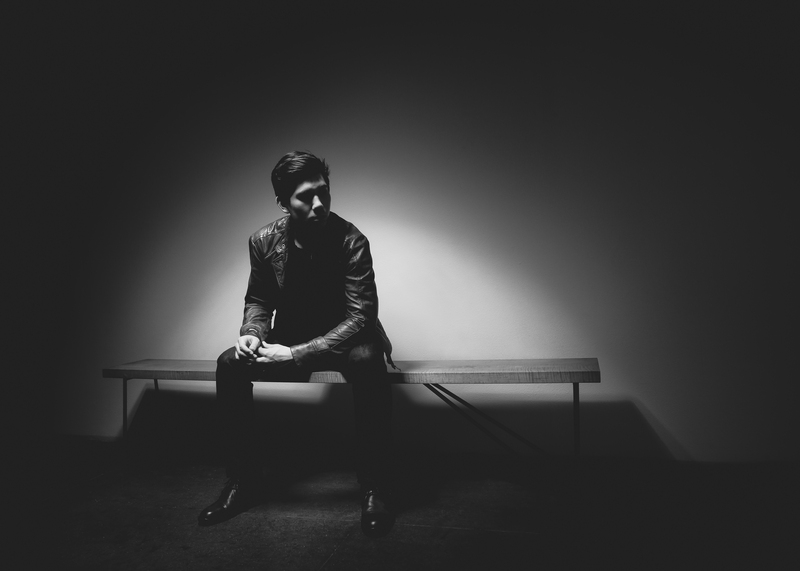 Gryffin just put out another dance masterpiece. Teaming up with vocalist Bipolar Sunshine, the two released what is sure to be a dance floor classic for years to come. "Whole Heart" is now out for your listening pleasure and captures the end of summer perfectly. 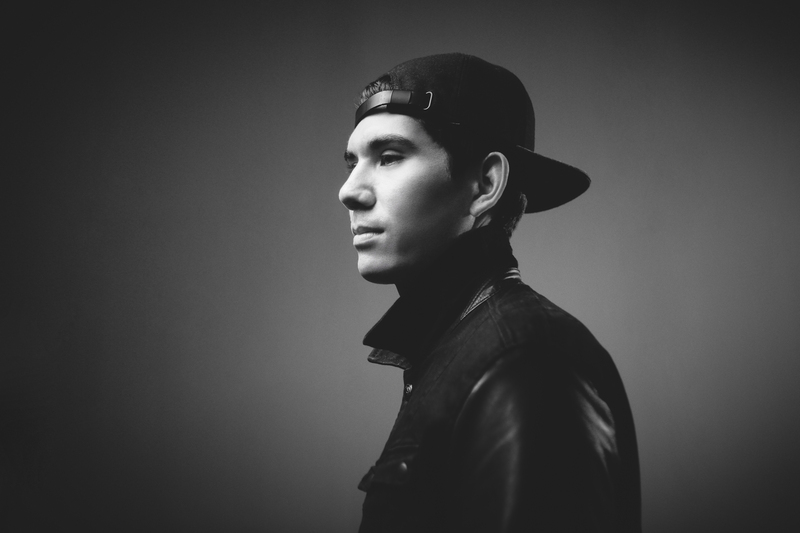 I recently got the chance to speak to Gryffin about his love for the festival culture, his talent for being able to play a variety of different musical instruments and headlining a tour of his own. Hey Gryffin! Thanks for the interview my man and congrats on releasing "Whole Heart." It is an amazing song. I hear you got your start as a classical pianist. EDM fans might be surprised by that. How did that come about? Did you come from a musical family? Yeah! I started taking piano lessons when I was seven, all the way through high school. I don't actually come from a musical family. I think my parents just wanted me to be involved in activities as a kid, and I wound up really loving music and piano performance. I wish my mom pushed me to play the piano more. It really is a beautiful instrument. Word on the street is that you were in a couple of different bands growing up. What are some fun stories you have while developing your craft as a performer? Well I wouldn't say I was in several bands growing up, but I definitely would get together with friends and play music, whether it be just casual jam sessions or trying to write and make music. I would do talent shows and piano recitals while I was growing up, which probably helped hone the performance aspect. I'm not sure if I have any fun stories as a performer, but if you listened to some of the old music I used to make, that would probably make for some good comedy or fun! Who doesn't love comedy or fun? Seriously though, I am interested in hearing more about your experience studying music production at the University of Southern California. What were key lessons that you took away while in college? I actually didn't study music production at USC! A lot of people naturally assume I did since I went to school in Los Angeles, but I studied Electrical Engineering. Whenever I wasn't working on engineering, I would be holed up in my dorm or apartment making music just because I loved to do it. At the beginning, I just released music with the main goal of having my friends play it at college parties, and I never would have imagined it would get to this point. I do think Engineering taught me how to really apply myself and work hard at a craft, because making electronic music actually takes a lot of work and effort that some people don't immediately realize. Whoah! I wasn't expecting that answer. A man of many talents...Very cool. 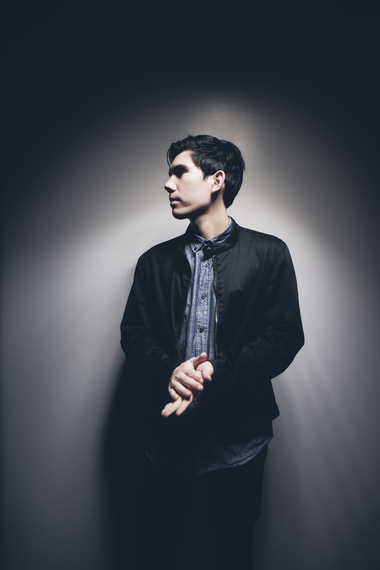 You recently created amazing remixes for artists like Troy Sivan and CHVRCHES. I really enjoyed them. How do you select the songs that you want to work on? Those two were super fun remixes to work on. When I get a remix opportunity, I really try to get an understanding of the artist(s) and where they are coming from as a musician. If I like their vibe and artistry, I begin to focus on the vocal of the song (melodically and lyrically). If the song moves me emotionally, I usually feel very compelled to remix and re-envision the music in my own style and interpretation. People dig your style so much that you were able to sell out your own headlining tour in May. That is an amazing accomplishment. What were you feeling when you heard the news? It was so amazing. I was beyond shocked and very flattered by it. Just the fact that people enjoy my music and want to see me perform it for them is an incredible feeling for an artist. It really made me feel validated as an artist and made me love my fans even more. Love is in the air. New York is my home and the Bowery Ballroom is one of my favorite venues. What do you remember from that night? What are some of your favorite things about NYC? Nice! Bowery is a magical place. That night was special too. It was my 3rd show ever and the vibe in the room was incredible. I remember thinking how grateful and lucky I was to be headlining a venue I've gone to so many times as a fan, and how special that felt. My favorite thing, hands down, about NYC is the energy of the city. There's really nothing quite like it. It's so motivating and makes you want to work your tail off because, as they say, if you can make it in NYC you can make it anywhere. I truly believe that. I always wanted to go to the Ultra Festival. My friends all have crazy stories and it makes me super jealous. What was your experience playing to the crowd down in Miami? It's quite the party down. Yeah! I had never been down to Ultra before so I didn't really know what to expect, but it blew my expectations out of the water. Miami is such a fun city with such a big nightlife scene, I was impressed. The concert itself was great. There was a lot of positive energy in the festival and people at my show seemed to truly appreciate the music and performance I was giving. I can't wait to go back. Next time I'm going with you. What do you love most about the festival culture? I've been to my fair share and they are life highlights for me. Some of my favorite memories come from attending these amazing events. My favorite thing is how unifying they can be. All these festival goers come in from different cities and countries, yet they all share the same bond - a love for music. I think that togetherness concept translates especially well with dance music, as that type of unity and positivity is a fundamental core of the genre and what made me fall in love with it in the first place. Very well said. "Heading Home" is a beautiful song. What was it like putting it together? How and why did you pick Josef Salvat for the vocals? Thank you so much! That song came together when I heard an early demo that Josef had written with Justin Parker. In the demo, it was a verse and pre-chorus, but all it had was a church organ type sound playing over it and it was very minimal. But, I immediately fell in love with the lyrical content and melodies that Josef was singing, and I got to work on reproducing the song and creating the choral drop. Once I passed that back to Josef, he began re-writing elements of the song and we kept passing the file back and forth from NYC to London until it was finished. We almost weren't able to clear Josef on the vocal, which caused a long delay for the track's release, but I was adamant about him remaining on the track because I loved his vibe so much. He's an awesome lad as well. Good looking out. Being able to play instruments during a live set makes you stand out from the majority of your peers. How did you find the time to learn all of those instruments? Most people can't even play one. The piano is definitely my most comfortable instrument. I've been playing it the longest and have the classical training as well. I picked up the guitar when I was around 12 years old, and just always found time to play music. It never felt like a chore playing instruments, it always felt so natural and fun for me. You are what we call a natural. You have over 100 million online streams. That is an insane number. Does seeing that number seem real to you? It's a testament to your talent and ability that fans are eating your music up. Thanks so much! And no it doesn't seem real. I try not to get caught up in numbers, but when I hear things like that, it does make me feel very accomplished and proud. As you should be! You reached number 1 on Spotify's US Viral Chart for "Heading Home." Where were you when you heard the news? Who was the first person that you told when you found out? I actually found out myself when I checked the viral charts. I first checked it because I thought maybe somehow someway there was a small chance I could crack the top 50 of the chart. I actually scrolled from the bottom up to see if I had made the list, and by the time I had almost reached the top I had already convinced myself that I hadn't made the chart, until I saw myself being right at #1 and my jaw dropped. I hit the refresh like 10 times to make sure I wasn't dreaming or that it wasn't a glitch. It was a seriously surreal moment. After seeing a dream become a reality, what can your fans expect from you going into the next year? They can expect a lot more original music from me. I've been working super hard at new material, and I'm very happy with how it's progressing. I'll also be doing a lot more touring, and will be scaling up the shows in production and performance. I'll also be going international for touring. A lot of fun things are ahead! We can't wait for the next set of shows! For fans who want to see what you are up to currently, where can they find you? They can check out my Facebook, Twitter, Instagram and Soundcloud pages. Also, "Whole Heart" is available for purchase on iTunes. Thanks so much Kyle!